Productivity is something we all aspire to, am I right? How can I get more done in less time? Serve more people with fewer hours? Those are the kinds of questions that keep entrepreneurs up at night, or at least keep me up at night, and I don't think I'm the only one. 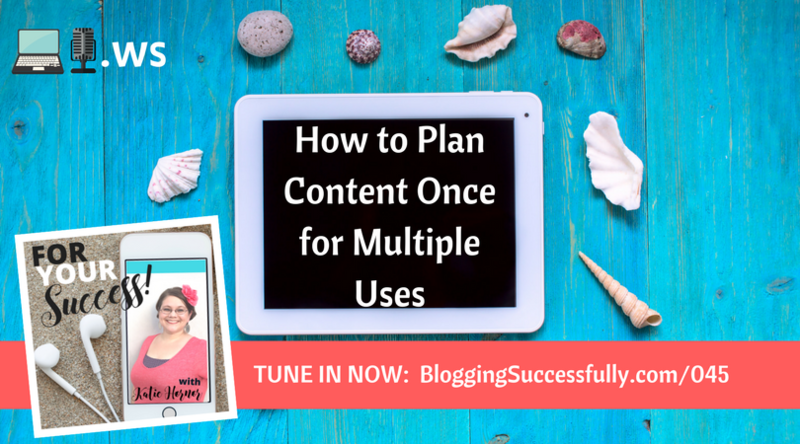 One way to be more productive is to plan your content once for multiple uses. And in today's episode we'll look at a simple system to help you do just that! Don't miss the free download at the end! 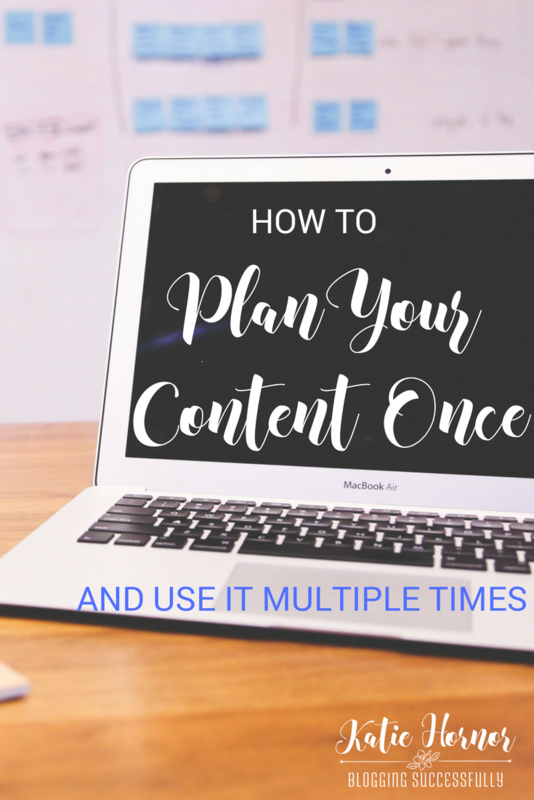 Starting with your largest piece of content, plan that one in detail. 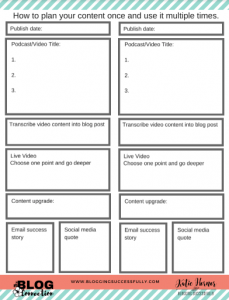 Maybe it's a podcast, a video, an epic blog post… Create that big one first. 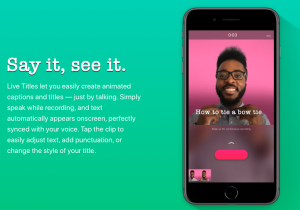 Choose one point and go deeper in a live video on social media (can be done with each point to make multiple short videos). Point back to #1 or #2. Save the live videos and post to YouTube. Point back to #1 or #2. Create a Content upgrade to provide a download for folks and get them on your list. Mention it on your notes for #1-4. Email – use a success story from content #1 topic in your email to drive subscribers back to the content #1-4. Social Media – pull quotes out from the content #1 and make that your social posts directing to the content #1-4. Pull all the pieces together and create a mini-course for sale, or as a lead in to a larger course. You're moments away from receiving this FREE download! Just tell us where to send it.